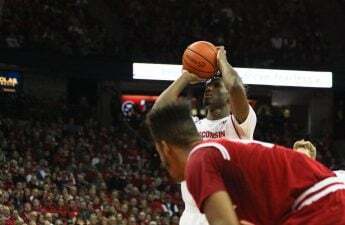 That’s all it could take to dash the University of Wisconsin men’s basketball season. 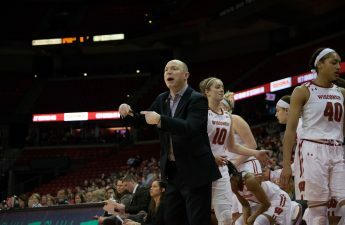 That’s all the time needed to prevent the eighth-seeded Badgers, playing in the East Region of the 2017 NCAA tournament, from reaching their sixth Sweet 16 in seven seasons or third Final Four in four years. Or from reaching the second round at all. After all, it was an eight-minute scoreless stretch, spanning 10 possessions, that doomed UW in their Big Ten Tournament final loss to Michigan Sunday. Time and again this season, senior forward Nigel Hayes has lamented at the fact Wisconsin (25-9, 12-6 Big Ten) can play formidable basketball for a period of time, and then go AWOL. 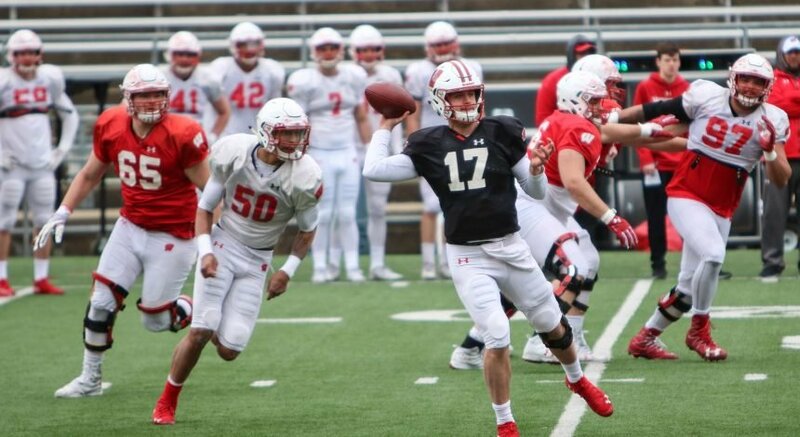 Now, the consequences of falling into such a hole are drastic: It could cause the end of Hayes’ and the team’s three other seniors’ season earlier than anticipated, beginning with UW’s first-round matchup with No. 9 Virginia Tech (22-10, 10-8 ACC) Thursday. It’s a quick turnaround for UW, which arrived in Buffalo Tuesday, but the late tip will give them that much more time to rest. Virginia Tech poses a challenge, Gard said, like any other team would come tournament time. 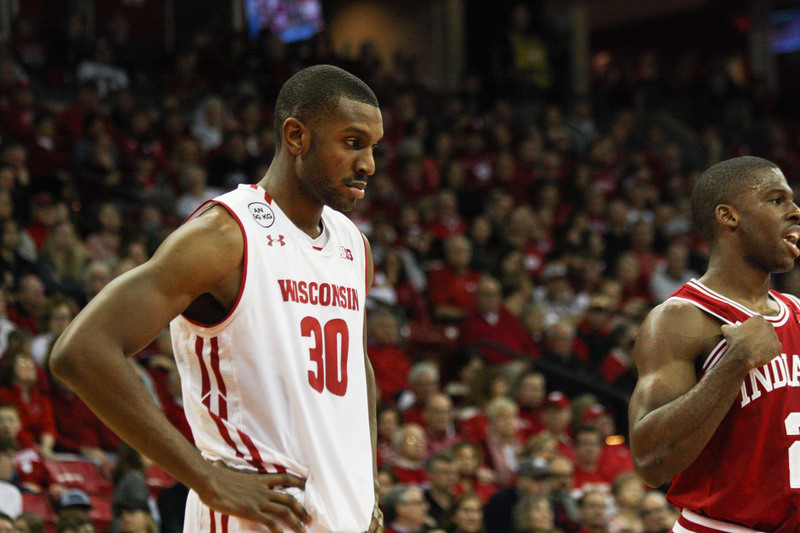 Many projections had the Badgers seeded higher than the eventual eight-seed dealt their way. To boot, if UW defeats Virginia Tech, top-ranked Villanova almost certainly awaits them in a second round matchup that would be played Saturday. Gard said the seeding situation is always complicated and deflected over possible dismay of the perception the committee under-ranked his team. But before UW can even think about pulling off an upset over the Wildcats, it must first take care of business against Virginia Tech, which won six of its final nine regular season games before advancing to the quarterfinals of the ACC tournament. Teams that can push the ball and shoot well — think Michigan — have bothered Wisconsin all season long, especially of late. Virginia Tech does both of these things well. Tech’s adjusted tempo on kenpom.com ranks just 157th, but Tech have used their transition game to beat teams like Virginia, a team whose style of play compares to UW. The Hokies’ offense features four players who average double digits, and that’s minus Chris Clarke, who suffered a torn ACL on Feb. 12 and previously contributed 11.4 points per game. Zach LeDay is the team’s leading scorer (16.3 ppg) and rebounder (7.4 rpg). Seth Allen shoots better than 45 percent from the three and pours in 13.4 ppg, while Ahmed Hill (11.6 ppg) and Justin Robinson (10.3 ppg) also help on the scoring front. While Wisconsin boasts the ninth-best scoring defense in the country (61.4 ppg), it ranks 307th in the nation against the 3-pointer — opponents make 37.7 attempts from beyond the arc against UW. That also does not bode well in this matchup, as Virginia Tech shoots 40.3 percent from 3-point range. At the helm of the Virginia Tech program is no stranger to the Badgers or the state of Wisconsin: Buzz Williams. Now in his third year coaching the Hokies, Williams led Marquette from 2008-14 and now has the Hokies dancing for the first time in 10 years. Gard, when asked about Williams, was complimentary of his counterpart’s work ethic, noting the two have a similar story in rising through the coaching ranks, but downplayed the advantages of scouting his teams for years. Virginia Tech struggles on the glass, as its minus-2.1 rebounding margin ranks 267th in the nation. Meanwhile, the Badgers’ plus-6.3 rebounding margin is 21st. 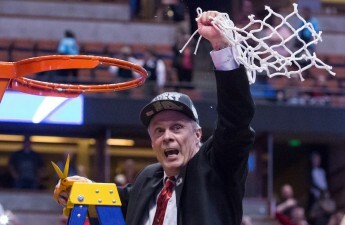 Of course, this UW team has mounds of experience playing playoff basketball, especially compared to the Hokies. Hayes leads all current active players with 131 points over the last three tournaments. Bronson Koenig’s 115 points ranks fifth. The Badgers will also get sophomore reserve Khalil Iverson back. 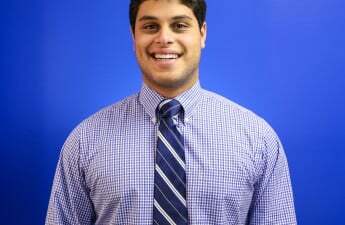 He has rejoined the team after missing the final two games of the tournament to return home to Ohio because of a death in the family. All-time series: Wisconsin defeated Virginia Tech 74-72 during the team’s only meeting, which came on Dec. 1, 2008.